An intensive treatment for chemical and heat damaged hair, containing Natural Keratin and Pistachio & Borage oils which provide the hair and scalp with essential Omega 3-6-9 complex. 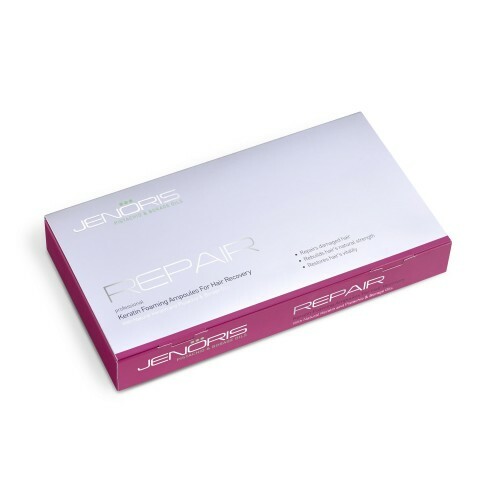 Jenoris formula effectively heals damaged hair, rebuilding and restoring the hairs’ natural strength and vitality. Content of Pack: 8 x 10ml ampoules; 1 ampoule to be used once a week. For best results use with Jenoris Keratin Shampoo.